Alright, ladies, it’s around the corner, the holiday people love to hate! It’s Valentine’s Day! I know this can be a day that is hard for people. Growing up my parents always made it special for us — my sisters birthday is also on Valentine’s Day so we would go out as a family and celebrate. 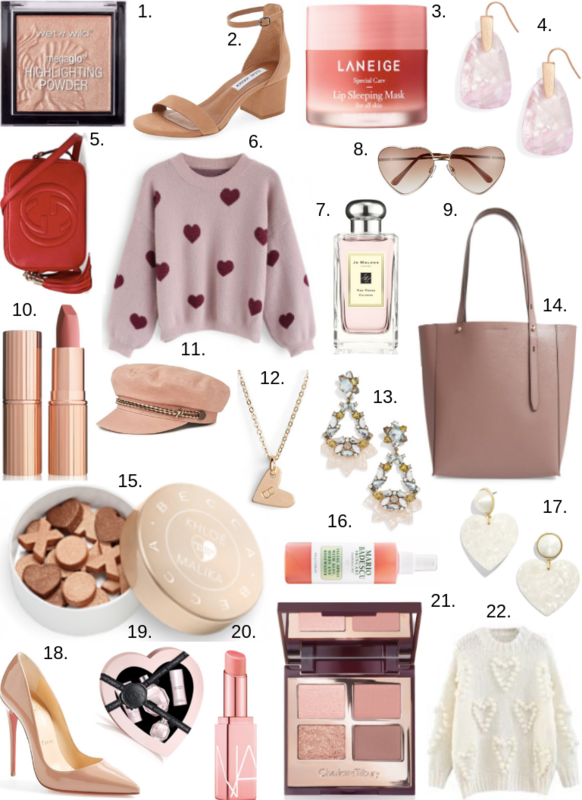 I put this gift guide together to celebrate women and show you all the fun items you can treat yourself to this holiday. I went through some of my favorite things from this year already and combined them all in one post! There are a few pieces that are a splurge and some that are a total steal. February is the month of love, so let’s find a way that we can share the love with everyone around us. Here are a few ways we can show our love for others during Valentine’s Day: write a note, call a friend, drop flowers off, watch your friend’s kids for a few hours, go get a manicure together, smile at your neighbors, make dinner for your family and more! Give me some of your ideas! I’d love to hear them. Some of my favorite gifts I’ve received from my husband or loved ones for Valentine’s Day are ones that they put thought into and that might not even have to be something they bought. I don’t see giving gifts as a necessity, it’s something extra you can do if you can or you feel like how you want to show your love. Tell me your plans for Valentine’s Day! With our baby boy due around the corner, we’re going to keep it low key. We don’t have a plan yet. What I love to do is spend time with my husband where we can talk about our relationship and what goals we have. It’s a nice time to relax and think about our future. Next Post Cozy Print Cardigans!